Black Friday 2018 is fast approaching. 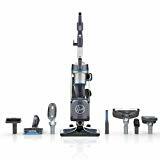 If you are looking for the best vacuum deals, Dyson is among the best brands out there. But you will agree with me that Dyson vacuums are not that cheap on a typical day. 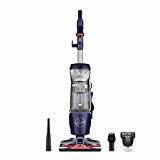 However, Black Friday and Cyber Monday sales offer the biggest discounts on this UK vacuum brand. 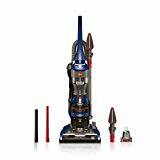 In this article, we listed all the available Dyson vacuum deals in this year’s sale. 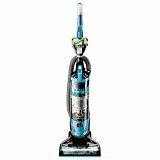 Whether you are buying a canister vacuum, upright vacuum, or stick vacuum, we have got you covered. No deal will go without us updating you. So, if you are serious on getting a Dyson vacuum on a budget, this is a page you want to bookmark. Dyson is not the only prolific vacuum brand. 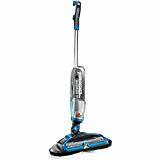 We also have brands like Shark ION, Hoover, Bissell, among others. These brands too will have deals and discounts during Black Friday. Here are some of the deals. Also read: What are the Best Black Friday Robot Vacuum Deals 2018? The origin of Black Friday can be traced back to Philadelphia, but today, it is a global sale event. The term was coined from the fact that there was so much traffic in the streets as people were out shopping for Thanksgiving gifts. When is the 2018 Black Friday and Cyber Monday? Why Buy Dyson this Black Friday? Corded or cordless Dyson vacuum? Remember, Black Friday comes on the day after Thanksgiving. During Black Friday, local stores and online retailers often slash down their prices by up to 70% of selected items. During Black Friday, you will get deals across all the categories; from electronics to home and living as well as fashion. On the other hand, Cyber Monday is a reasonably new sale event that is held on the Monday after Black Friday. Cyber Monday is not as old as Black Friday. It was started and popularized by online marketers to push more people into online shopping. Most of the Cyber Monday deals comprise of the latest gadgets and tech in general. Black Friday and Cyber Monday sales mean different things to consumers and retailers. For shoppers, the two sales mark the beginning of the shopping season whereas, for retailers, it’s a time to clear the stock in readiness for Christmas shopping restocking. If you are anticipating Black Friday and Cyber Monday deals, mark the dates. 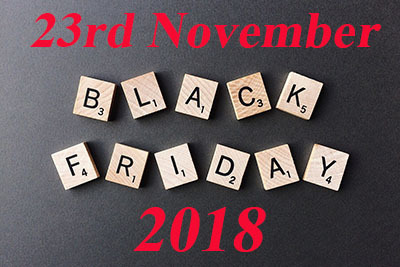 Black Friday will be on 23rd November while Cyber Monday is slated for the 26th November. However, be on the lookout as retailers have started giving always deals slowly. 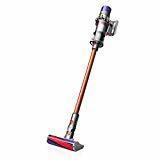 For example, Dyson has already begun releasing their deals with the Dyson V6 retailing at almost half price right now. 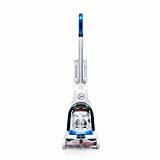 I’m sure you are wondering why we settled down on Dyson yet there are so many other vacuum brands including Shark ION, Hoover, Bissell, Karcher among others. Well, our choice for Dyson is informed by two factors. First, Dyson is the most popular vacuum brand. Even though there are several other older brands, the high levels of innovation have made the UK brand a real success. Second, Dyson offers a wide range of vacuums. 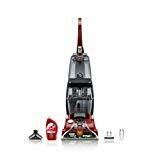 Whether you are looking for an upright vacuum or a robot vacuum, Dyson has got you covered. As a top brand, be prepared to cough out quite a good amount when shopping on normal days. But for Black Friday and Cyber Monday, there will be some crazy deals for almost all the Dyson products so stay woke. 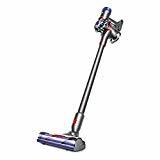 Even though Dyson is known for its vacuum cleaners, there are several other products in the offering. You can now but Dyson air purifiers, hair dryers, fan heaters and so on. 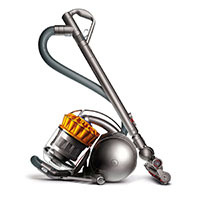 Dyson is among the most popular and successful vacuum brands. 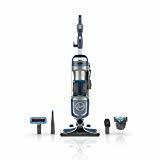 If you are out looking for a Dyson vacuum, you will be surprised at the many options they offer. Here are the main vacuum types you will find during Black Friday. Upright vacuums – These are the large vacuums that are pushed on the floor. 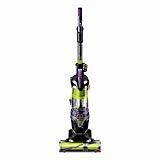 If you want bigger performance, get an upright vacuum but be ready to push the 15 pounds plus weight. Some may come with attachments like pet tools, handheld vacs, upholstery tools and so on. 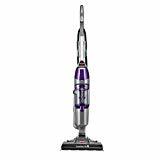 Some of the best Dyson upright vacuums include Cinetic Big Ball, Dyson Light Ball, among others. Canister vacuums – Canister vacuums consists of the canister that you pull and the stick that you use to vacuum. 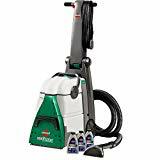 These are just as powerful as upright vacuums but are more versatile in that they can also handle the stairs, and are much more portable. Regarding power, they are just as powerful as their upright counterparts. Among the range of canisters offered by Dyson include the Big Ball Multi floor canister and Cinetic Big Ball. Stick vacuums – For those who want a portable light duty vacuum, pick the stick vacuums from Dyson. They are ideal for use on all surfaces including walls and high places. Their downside is that they are for light duty cleaning and are quite expensive. 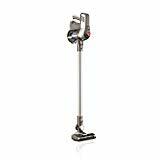 The Cyclone V10 is the best stick vacuum from Dyson so far. Robot vacuums – These are high-end automatic floor cleaners that work even when you are not at home. They know when it’s time to clean, the path to take and how best to clean. As the name suggests, they are truly robotic. Dyson 360 Eye is the flagship robot vacuum from Dyson and is arguably the best in the market. When scouting for your next Dyson vacuum, you will need to choose between the corded and cordless models. The corded vacuums like uprights have power cords to supply the vacuum power from the mains. On the other hand, cordless vacuums like the Dyson stick vacuums have inbuilt rechargeable batteries. 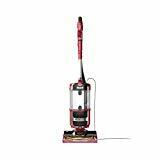 Pick the corded vacuum if you have a large apartment because of the continuous power it offers. Remember, with cordless models; you need to recharge the batteries and recharging takes long. On the other hand, the cordless vacuums come in handy if you don’t want to be limited. You can go with a cordless vacuum just anywhere without worrying about the tangles. If you are buying a vacuum for the first time and you don’t know what to look for, here is a basic guide. 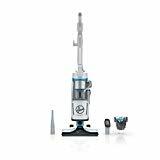 We have discussed important factors that should be considered when buying Dyson vacuums. The first thing to consider is the reason why you are buying the vacuum. Is it for cleaning hardwood floors? Can it handle carpets? What about pet hair and allergens? These are just among the many needs homeowners have when shopping for a cleaner. Dyson has something for everyone. There are Dyson vacuums for carpets and these come with super high suction and a bristle brush. 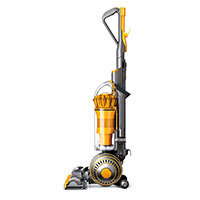 You can get a carpet vacuum from all the four categories of Dyson vacuums. 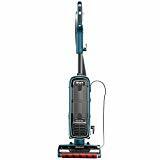 We also have vacuums for pet hair, and these are characterized by bristle brushes as well and HEPA filters. Some models might also feature attachments like pet hair tools and upholstery tools. When it comes to hard floors, including hardwood, just any other vacuum is ready for the task. All vacuums can handle hard floors unless they are too small to cover large apartments on time. For those who want an all in one cleaner, Dyson also has models that come with a mopping function. That means you can vacuum and mop simultaneously. You won’t have to bear the extra cost of buying a separate mop. Dyson vacuums are generally expensive. However, there are some affordable models, for example, the Ball Multi floor two that retails at around $200 and offers quite some excellent performance. So, what are the essential things you need to know about Dyson vacuums budget? 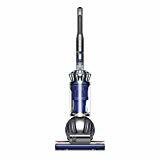 Well, Dyson vacuums range from $100 all the way to $800 for the high-end vacuums. 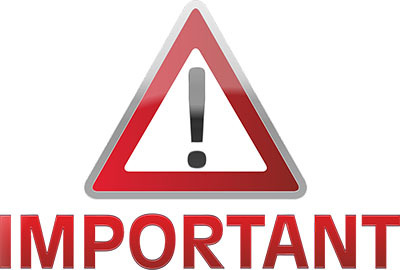 From the recent sales, the high-end models retailing at over $800 normally have a 5 – 10% discount, so you don’t get to save much. But for the $200 and $500 models, there are discounts of up to 50%. If you want to strike a deal, look for a Dyson vacuum within this range. But there’s one thing that remains consistent amongst almost all the brands; you get what you pay for. So, if you want the best features, look no further than the expensive models. 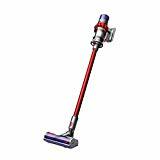 The likes of Dyson Cinetic Big Ball offer industry-leading performance, and that’s what every homeowner wants. Many are times homeowners get themselves in a buying frenzy just because items are cheap. They forget to question whether they need that particular vacuum or not. Don’t be such a shopper and that’s why we recommend building a wish list of the things you need. 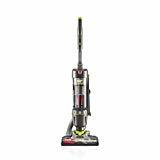 While price is an important dynamic during Black Friday sale, you should consider the features of the vacuum and not solely the price. Make sure the number one vacuum on your list has all the features you need. Don’t just rely on the discount! If you want the best Black Friday deals, it’s imperative that you outline whatever you want and find where to get the deals. There are two main options; offline shopping and online shopping. There are so many local stores that stock Dyson vacuums. These stores also host Black Friday and Cyber Monday, and they too will have some discounts. But for me, I’m not a fan of local stores because they are always expensive. So, even though there are discounts during big sale events, the prices will still be higher at your local store. Another thing, shopping at your local store during Black Friday can turn ugly as it’s all about muscle. If you want the real deal, online shopping is the best place to get Black Friday discounts. The thing with e-commerce is that there is great competition between the sellers, so prices are always competitive. 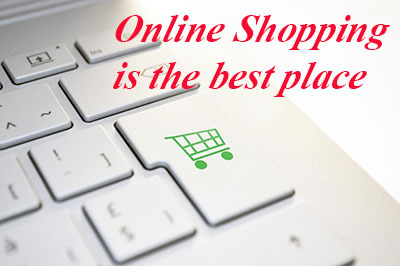 Plus the convenience of online shopping and home delivery, online shopping is the way to go. Besides that, you don’t have to scramble for deals; it’s all about how fast you can catch them. There you have it folks, all the Dyson Black Friday deals plus many others. The list will be continuously updated to make sure that you stay tuned to all the current and upcoming Black Friday deals. Make sure to bookmark this page and if you want to get alerts, subscribe to our price drop notification service, and we’ll let you know when your favorite vacuum is at the lowest price. Dyson vs Miele - What's The Best Vacuum Brand? Best Black Friday Robot Vacuum Deals 2018 - SAVE YOUR MONEY!